Welcome to The Dragon The Phoenix and the Furball. This site is going to be dedicated in the memory of Willow and Tara. The most memorable couple to ever show up on television history. This is my first time ever doing a site with a site builder, so please if this looks funny blame the builder not me I only enter what it tells me to! This site features a nice spread on Miss Benson's(Tara MaClay) movie "CHANCE" the feature is done wiht her approval, and knowlege along with Benson Entertainment. Please visit the section on this page to further enjoy a beautiful depiction of a girls life, the movie also features James Marsters (Spike of BTVS). Please let me know if you share my enthusiasm or enjoy my site! This picture was made by Aly (site owner) please dont take without asking, if you would like it, just contact the group and we can send you a copy! 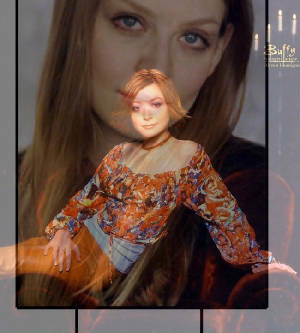 This site is specified for Willow and Tara the most beloved couple on Buffy the Vampire Slayer... Blessed Be.